If you have not seen the show The Mind of a Chef on PBS, you need to go watch it right now. The show is narrated by Anthony BourdIn and it details the awesome talent and food by David Chang. I have been working a lot of hours and I have been feeling a little less than inspired in the kitchen. This show got me so excited to spend some time in my kitchen! 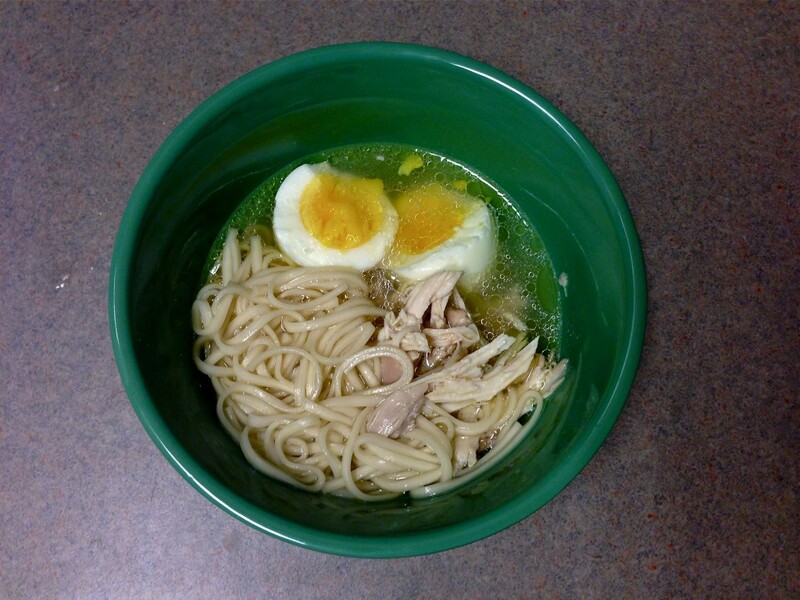 And this chicken soup is packed with mind blowing flavor. I’ve been reading a lot of information about chicken stock. 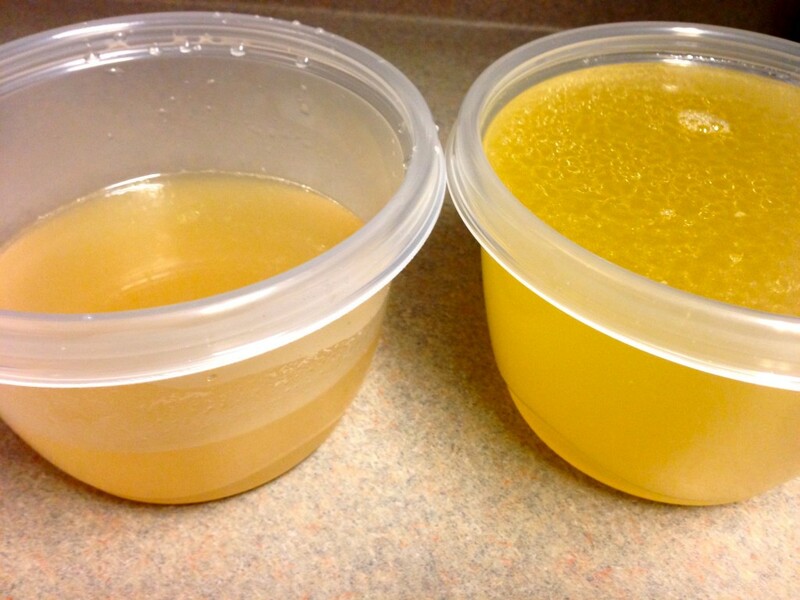 This is the first time I’ve ever made chicken stock that thickened into a gelatin in the refrigerator. And apparently that means I’m doing something right. I assure you that the time dedicated to this recipe will be worth it. You will be drinking the chicken stock from the bowl after you’ve eaten all the noodles and chicken. I actually got a good deal on two whole chickens when I planned to make this the first time. I had this recipe and another soup in mind. But once I tasted this… there was no turning back. And I made the exact same recipe two days later with my second chicken. I did end up having plenty of stock left over to freeze for future cooking. I used some of it to make sauce for chicken piccata in the flavor was insane. I am beyond excited to share this recipe with you. You will never think of chicken stock the same way again. Fill two 8 quart stock pots halfway with the 2 quarts and 4 quarts of water. Heat over medium-high. Disjoint the chicken and sprinkle with salt, rubbing the salt into the meat. Place all of the chicken pieced into the larger pot. Grind some black pepper into the pot. Peel and cut the onions and shallots in half. Cut the scallions and carrots into 4 inch pieces. Place the vegetables in the smaller pot of water. 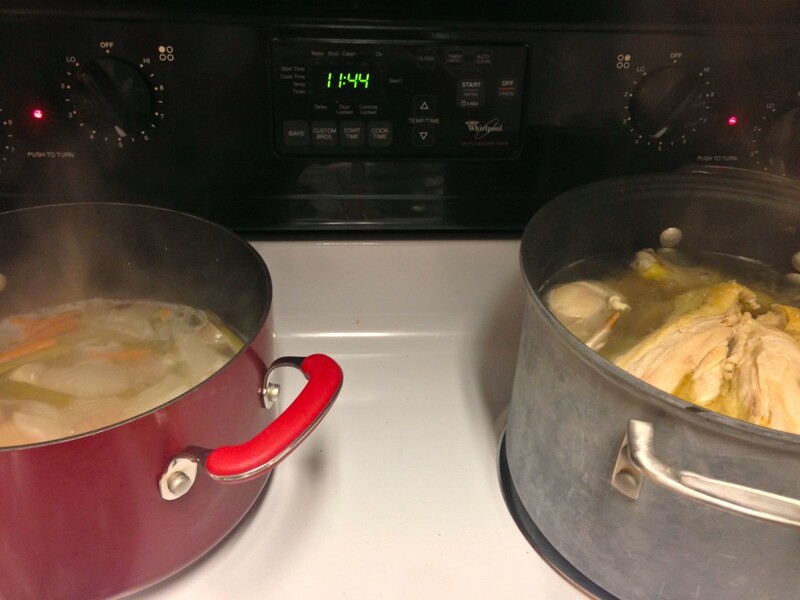 Bring both pots to a simmer, turn down the heat, cook for 1 hour. After 1 hour remove the chicken pieces from the pot and allow them to cool until they can be handled. Remove all the meat off of the bones. Return the skins and all chicken pieces to the pot. Bring both pots back to a low boil and allow to cook for 2 hours. After two hours the volume will have reduced. 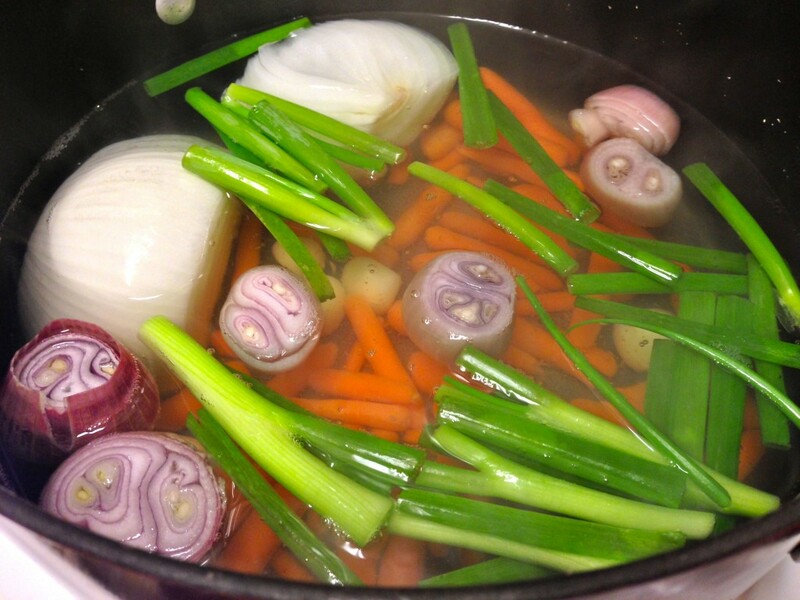 Strain the vegetable broth and discard the vegetables. 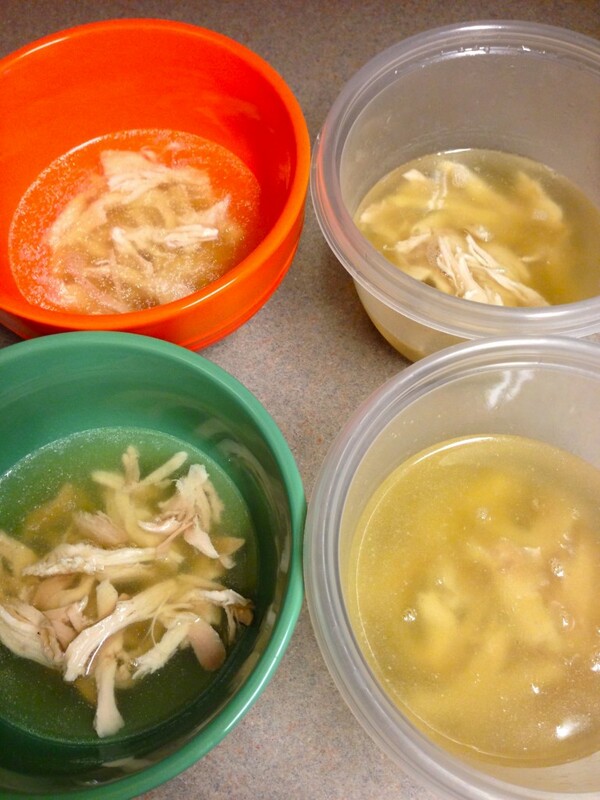 Strain the chicken broth, discard the chicken bones. Bring water to a boil and cook the noodles as directed. Break up the chicken pieces in to bite sized pieces. Place a serving of the chicken into each bowl. Add a serving of noodles to each bowl. Place 1/4 cup vegetable broth and 1 1/2 cups chicken broth in each bowl. (You can adjust the stock ratios to your preference.) Serve with soy sauce.